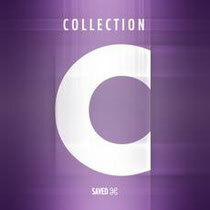 Saved Records presents the third instalment in their collection sampler series, ‘Collection C’. The release contains music from artists who have already made a mark on the label as well as a couple of debutants. A reflection of the label’s tastes with original music and an eclectic range. The release contains exclusive new tracks from Stefano Ritteri, Gel Abril, Santé, Alex Tepper and Per Hamer plus collab productions from Alex Piccini & Marka T, Boris Ross & Jeff Moore, Benny Rodrigues & Guti, Onno & Lauhaus, Samuel Dan & German Brigante and Leon & Nathan Barato. Have a listen to Santé’s ‘One Two’ below.